All who knew our beloved mother appreciated her genuine love for children, all children. Jane was the proud mother of Dr. Corinne VanBeek of Darien, CT and Ryan VanBeek, and mother in law to Paul Ferrone and Donna Mastromonaco VanBeek. Perhaps her most cherished role was that of grandma “Babi” to her beloved three granddaughters, Gianna, Michela, and Isabella Jane VanBeek. Jane was the matriarch to the VanBeek Family. She lived for her children, and she was extremely close to her small family. She exuded unconditional love that surpassed the imaginable. She incessantly sacrificed herself for the happiness of others, and on numerous occasions saved the day with her relentless determination. Her boundless energy motivated and inspired. Her passion for life and affection for all children captivated all those around her. Jane’s infectious laugh warmed our hearts, while her constant grace was always notable. She was a spontaneous adventurer and traveled the world, most recently taking several trips with her daughter. She loved socializing with people from all walks of life and enriched their lives with her humor, compassion, and love. Jane could be seen dancing to blasting 1950’s doo-wop behind the wheel of her Volkswagen with the windows down and sunroof open. She loved burying her feet in beach sand and listening to ocean waves. Jane was a worshipped elementary school teacher in Ossining, NY for over 30 years. Her enthusiasm and genuine love for her school children left an indelible memory in their young minds, with many of them visiting her decades later. She spent as much time in her classroom as out with her school children, even sledding with them on snow days and making cotton candy at recess. During her retirement, she continued her commitment to educating children as a tutor and volunteer in schools and libraries. She was tirelessly committed to each child, to educate and love each one.. She was known for her warm welcoming smile with her baby blue eyes, steadfast patience, and open arms. Mom treated each student as her own child. She was a natural caregiver, and always put her children first. Her unconditional love constantly comforted the fortunate recipients. She made the impossible possible with her tireless commitment and steadfast determination. She loved to see her students excel. She had an undying need to help children reach their potential and make learning fun and exciting for each individual student. She cherished each child and desired to nourish inquisitive minds. The fund will preserve the legacy of our admired mother and in the process help children who would have otherwise benefited by our mother. We are continuing her life's work. 100% of the fund and any raised money go directly to charity. The money will provide grants for 501c non-for-profit children's education charities, children's scholarships, and libraries. 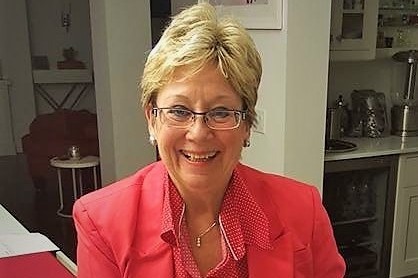 Jane VanBeek, formerly of Cold Spring, NY, passed peacefully from Glioblastoma Multiform at her home in Darien, CT on Saturday, November 10, 2018 surrounded by her adoring family. She was just 72 years old. Merry Christmas and Happy Holidays to everyone. To this date we have had almost 90 donors to Mom's fund and have almost reached our goal of $10,000.00. AMAZING! Thank you so much to all those who have given charitably of their time, love, and kindness to our family during this difficult time. A special thanks to all who have donated to Mom's fund. We look forward to reaching the goal and helping continue Mom's legacy.